Happenings in Singapore just when I have to be away in Malaysia! It may be meaningful to read this earlier post and another to understand how this current post becomes an appropriate end to it. The close ties of our family to Singapore is more evident than ever in 2015. This is a true occurrence despite the fact that all of us were born in Malaysia with the exception of the mother of the family, my departed wife who returned to her heavenly home in Nov 2012. All 4 of the boys have been entrenched with education and life on the island since they moved to live on the island state in the milestone year of 2007. One son will finish his 2 year National Service in the middle of the year while another is about to embark on his. In the comments section of the above facebook post, I added this later post written on the theme of the 49th National Day of Singapore. 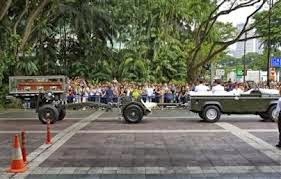 Mr Lee Kuan Yew managed to appear to the public to stand tall for the national day parade as he had always done. Many must have felt as I did then that he must have looked forward to be at the parade again on the special 50th year as a free independent nation. 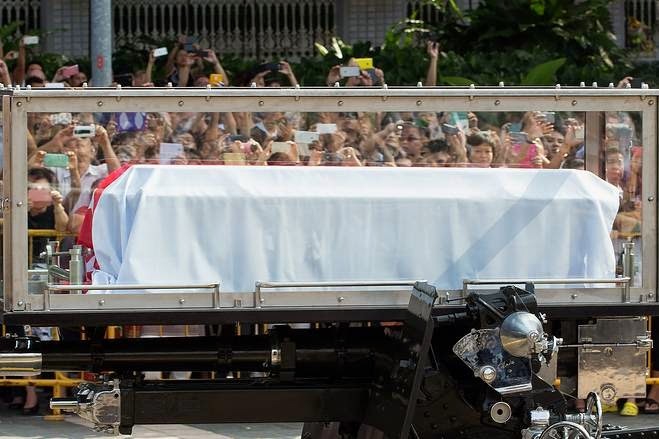 Lee Kuan Yew, who founded modern Singapore, passed away peacefully at the hospital at 3.18am. Born Sept. 16, 1923, he was 91. 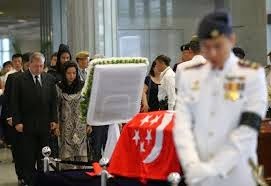 He is survived by sons PM Lee Hsien Loong and Lee Hsien Yang, and daughter, neurologist Lee Wei Ling. 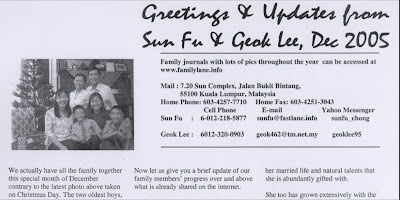 His wife of more than 60 years, Kwa Geok Choo, died in October 2010. The queue to pay one's last respect seems exceptionally long as the last in queue are told that it would take 8 hours to reach the Parliament House where the body of Mr Lee Kuan Yew lies. See this silent hyper lapse video of the queue to appreciate how long it is! I'm glad there is facebook for me to stay connected with what is happening on the ground on this great island state in their week of mourning and am touched by a friend of our family, a Singaporean working in Hong Kong, who shared her experience and feelings joining the queue at 3am read here. First a private wake for the family. Body transporated by a military gun carriage. 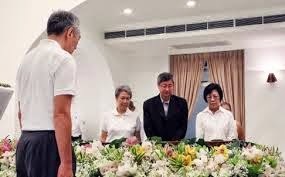 Details of the funeral events with overwhelming response of the public and attendance of renowned people besides foreign dignitaries representing various nations of the world to pay their last respects to the founder of modern Singapore can be found here. I was presented with a copy of a souvenir publication of the Guild's 80th Anniversary where the above message from the Minister Mentor of Singapore then was extracted from. 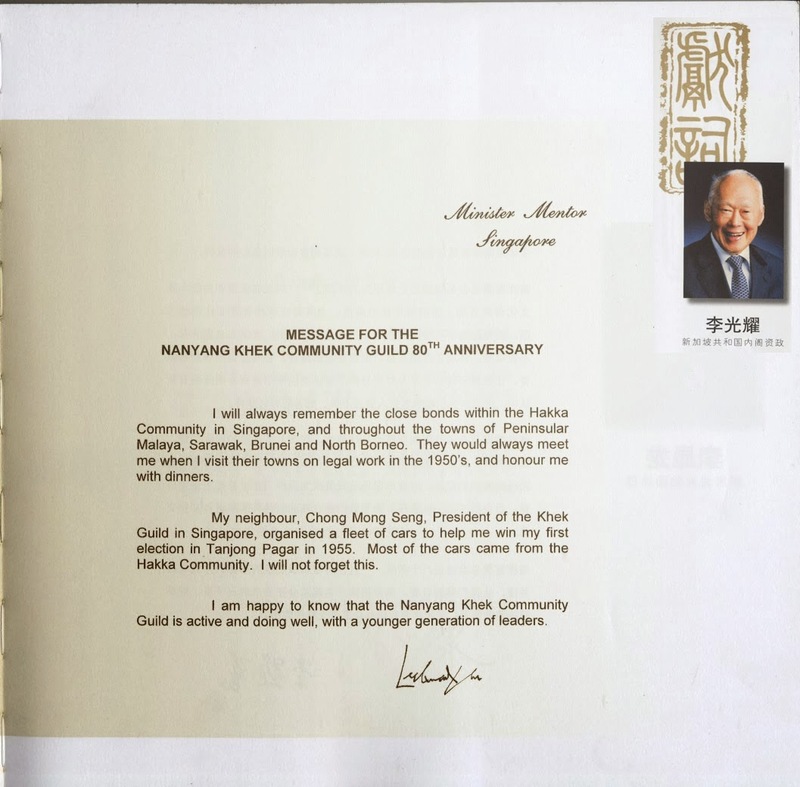 A previous blog post containing my discovery of this Guild and a brief summary of the family history of Lee Kuan Yew can be found here. I am glad I have read his books and have began to write my own, starting with my online posts about my perspective of life that covers the Body, Mind and Spirit. I have no regrets that the origin of my wife and now the home of my boys is in Singapore and I have had a chance to thoroughly experience the island for myself. No doubt we had to leave Singapore in the 80s because we believed in having a large family but I have learnt that living in a free world made us stronger and returning to Singapore helped us appreciate an ideal environment of what great leadership can achieve when there is no opposition. Then there is a consolation.... I just checked my whatsapp while far north in in another island of Penang to read that the Church Stake Presidency announced that the movie, "Meet the Mormons" would be postponed to another date to be announced later. I'm glad I didn't miss it and have a chance to be back in Singapore to see it in the postponed date. I am always truly blessed in many different ways, I testify of this! The Mormons, their history, the leaders in succession since the beginning of time all point to one answer I believe is the key to the success and happiness of all mankind on this earth. It is the need for EVERYONE, not just ONE or a few 'leaders' to do the most important thing we can do while we live and breathe on earth i.e. to be willing to sacrifice ourselves for the good and betterment of all others including that of our own families, friends and neighbors irrespective of what our or their race, religion or creed may be! We are all spirit children of a same Father, believe it or not? Think "What if....." and continue with those thoughts, to be followed up with your personal decisions and actions. Imagine how your life could be completely changed from now till forever or when we meet our maker our self one day in time. 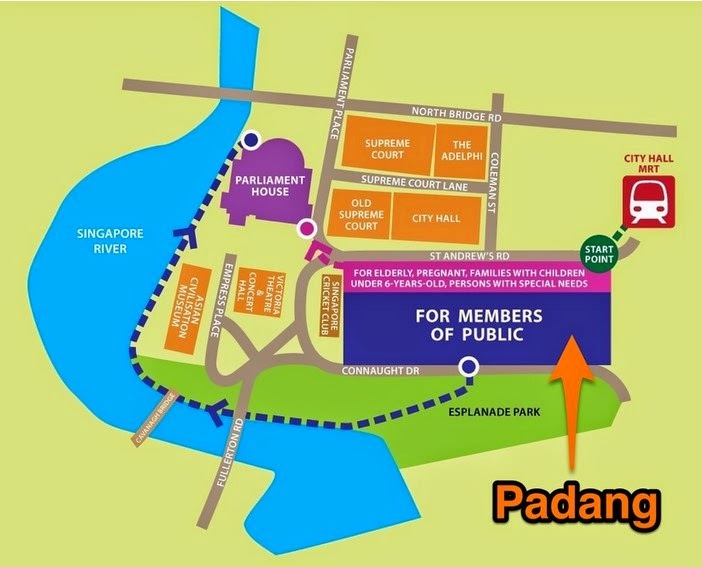 Throughout the whole week of mourning, I was in Penang island which is 597km or 371miles north of Singapore, busy attending daily meditation classes and following up with family history work, but was spiritually connected to events in Singapore. Channel News Asia continued to give a very comprehensive coverage of the funeral activities here. Here is Part 2 of the video that automatically starts Part 3 and the end. As the above 3 videos have some how become unavailable in youtube as it some times happen, another 3 part videos can be viewed by clicking here. 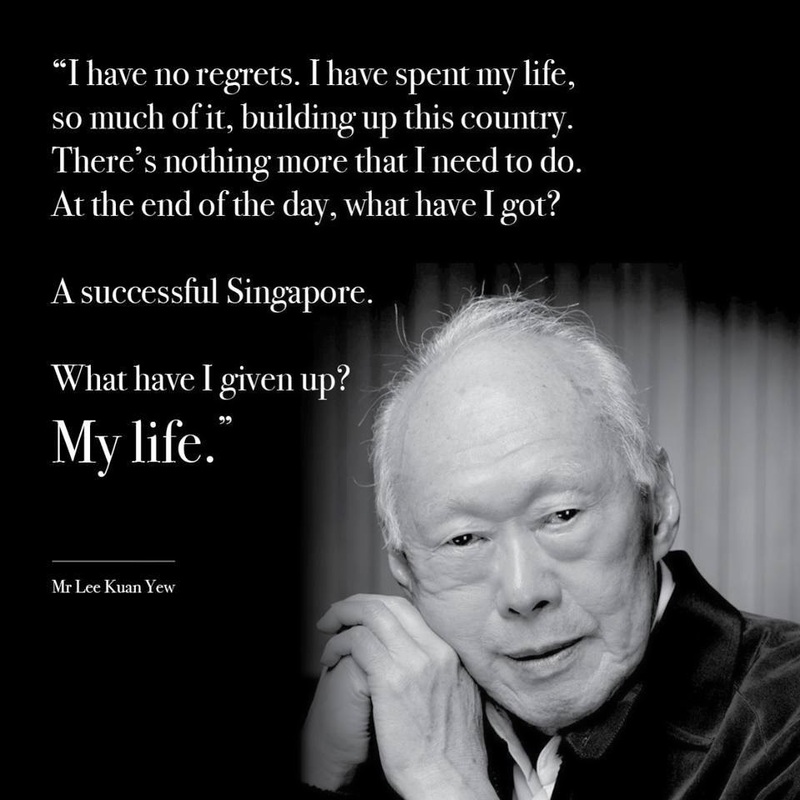 An article about, "Singapore’s first prime minister Lee Kuan Yew considered euthanasia in his final years, daughter reveals" Click here. His daughter after a year of the passing of his father writes a post on her facebook that can be read by clicking here.